A Chicago native and graduate of Gordon Tech High School and the University of Wisconsin, Edwards first gained a bit of celebrity in the 1970s with a phone call to Bob Collins, then afternoon host on news/talk WGN-AM (720). As part of Collins’ Tyrone F. Gundelman Don’t Call Us We’ll Call You Amateur Hour, Edwards described a thrill-show-of-the-mind called The Furtive Family of Fine Frogs. Edwards’ deadpan delivery and Collins’ hysterical reaction turned it into one of the most famous bits in the station’s history. For 16 years, Edwards worked as a news producer at CBS 2, including 10 years as top investigative producer for Walter Jacobson’s Perspective unit. Heading a small staff of researchers and interns, Edwards helped Jacobson deliver five 2½-minute commentaries each week — an extraordinary output that often made headlines and garnered the team 12 Chicago Emmy Awards, among many other honors. After Jacobson left the station in the early ’90s, Edwards stayed on and worked closely with such CBS 2 stars as Lester Holt, Jay Levine, Larry Mendte and Steve Baskerville. Known for his far-reaching contacts to people in high places, Edwards was on a first-name basis with two Illinois governors, Jim Edgar and George Ryan, who regarded him as a friend. Co-workers often marveled that there was nothing he couldn’t get done in pursuit of a story. His transition to radio began in September 1989 when one of his protégés on the Perspective unit, Roe Conn, invited Edwards to join him on the air at WLS, where Conn was hosting a five-hour Sunday overnight show. Since Edwards was employed by CBS, he had to use a fake name on the ABC-owned radio station. His nom de air, “Jake Hartford,” was an homage to Jacobson and to his dog, Hartford. After frequent guest stints over the next two years, Edwards joined WLS as a part-time and fill-in host in 1991. By 1997, he launched Awake with Jake, a Saturday morning show that ran for 15 years on WLS — except for a two-year detour on Newsweb Radio progressive talk WCPT-AM (820). He attracted a large and loyal audience with such recurring bits as the Gissy Awards (annual honors to local TV news celebs named for Giselle Fernandez) and deliberate confusion over changing to and from Daylight Saving Time. Last September, when WLS morning star Don Wade was sidelined with a brain tumor, Edwards was tapped to fill in with Chicago Tribune columnist Kass from 9 to 11am weekdays. With a realignment of the station’s schedule following Wade’s retirement in December, the midday partnership of Jake Hartford & John Kass became permanent. "I really liked being around the man," Kass said Sunday. "He was funny and quick and he never talked down to the listeners or made them feel ill at ease, even when he'd tease them. He was smarter than most, but didn't feel the need to announce it or brag about it as some do. In this, he was Chicago. He was born here. And Chicago understood all this about him, because you can't fake it with readers or listeners. Not year after year after year. And he didn't fake it. People invited him into their homes, their cars, they wanted to spend time with him, and the reason was because he was one of them." 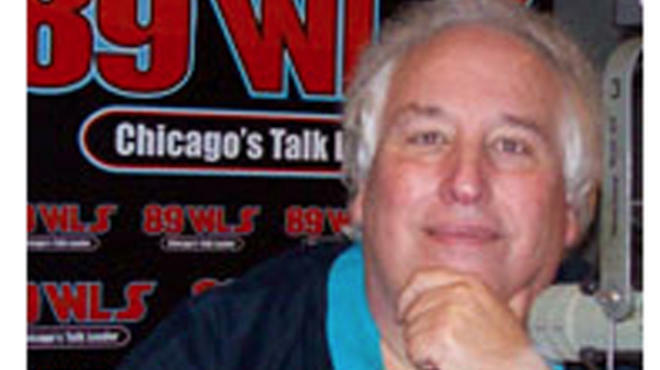 Without notice to Edwards or his listeners, WLS bosses canceled his Awake with Jake show, effective last week, and replaced it with infomercials. “I feel bad for the Saturday listeners who have been loyal to me and the station. They deserve better than this,” Edwards told me at the time. No one at WLS was closer with Edwards than Conn, who’s now the Cumulus Media station’s afternoon star. He broke the news of Edwards’ passing to his bosses Sunday morning after hearing from the family. “Jim was one of my greatest influences,” Conn told me. “Twenty-five years ago, he took me under his wing at CBS-TV and taught me almost everything I know about how this town really works. In radio, his 'everyman' voice and charming, sardonic, self-deprecating sense of humor made him a Chicago original. But most importantly he was a great, loyal and honest friend, the hardest kind to find." Edwards is survived by his wife, Marsha, and two sons, Jameson and Graham. Services will be private. WLS has created an email account for condolences to the family at: JakeWillBeMissed@gmail.com. Just two weeks ago, Jim and I had dinner with our wives to toast the New Year and celebrate his promotion at WLS. He reminisced about his exploits with Jacobson, shared a few hilarious but unprintable stories about mutual friends, and laughed about the absurdities of life in a business he never took as seriously as those around him. We promised we’d get together again soon. It was the happiest I ever remember him.